Must enter coupon code "SPRING" on the Checkout Page for Free Ground Shipping within Canada on orders over C$100. Coupon code must be entered and Free Ground Shipping method must be selected at checkout. Orders with $100 of product before shipping and taxes. Valid for Ground Service within Canada only. We may use carriers other than Canada Post. Not valid for Int'l/USA/Express orders. Oversized shipping charges are extra and will be added to your cart before checkout. Not valid with any other discount/offer. Free shipping does not apply to returns or exchanges. 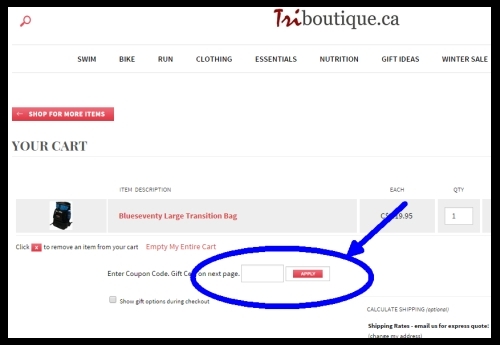 Use of coupon may result in actual shipping charges being deducted from future credits for returned merchandise. Offer expires at 11.59pm PST on 2019-04-30. * Does not qualify for Free Shipping. Rates shown at checkout.